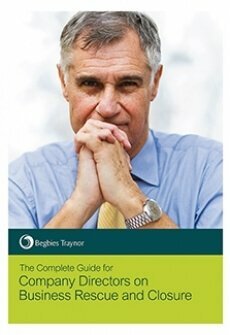 Begbies Traynor has a proven track record in providing specialist, independent advice to company directors and business owners facing financial distress. Our team - comprising licensed insolvency practitioners and a partner-led service - is rich in experience and expertise. In 2015, we handled more corporate insolvency appointments than any other UK firm, emphasising our resounding and widespread support network for directors nationwide. With over 50 offices spanning the length and breadth of the UK, we are able to offer a speedy, personal and local service to business owners struggling under the weight of company and personal debts. Whether you are facing an insurmountable overdrawn directors' loan account, unable to pay your staff at the end of the month, or being chased by HMRC for tax arrears such as PAYE or VAT, there are ways and means that our skilled and qualified team can help. If your company is insolvent – i.e. cannot meet its liabilities as and when they fall due – it is crucial that you contact us as soon as possible. As time goes by and debts escalate, your range of available options will diminish. The earlier than we can affect the situation, the greater chance of reaching a positive resolution.